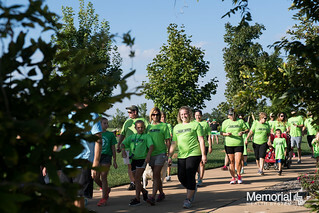 Memorial Transplant Services holds a 5K Run/Walk in September to raise funds to benefit our transplant funds. Start time is 9 a.m. Event held rain or shine. Register before August 23 to be guaranteed an event t-shirt. Presented by Memorial Medical Center Foundation. This event is a wonderful opportunity for patients and donor families to come together and share their stories. Speaking with others who have experienced the gift of a transplant is very healing for many donor families. Many thanks to our event sponsors. This event would not be possible without their generous donations. The Boar's Nest Bar and Grill, Inc.